If you were thinking of enhancing the shape of your eyebrows, you may want to watch a few tutorials or videos first if you are not sure what to do, there are hundreds of them out there ! Have a look at this one by Wayne on eyebrow shapes, it’s funny and interesting and he made another even funnier here. Jen is also absolutely amazing, I love how clear her tutorials are and how helpful, she summarizes every single step here. Pixiwoo also share their experience in a video and if you watch all these videos you will know everything you need to know about eyebrows. For those who lost their eyebrows or have over-plucked them, I love this video, I think Carly has simply great ideas and I could listen to her for hours. I did over-plucked them two years ago, not much but I did and I have been told off by my an esthetician, she told me they would not grow back again, but luckily they did. Actually, I prefer to wax around the eyebrows, top, underneath the arch and in the middle of both, I love how soft it feels afterwards and to tell you the truth, I hate plucking them, every hair out equals a sneeze and apart from my boyfriend who laughs like a drain, I don’t really find it very enjoyable so I only pluck them when necessary in between each wax appointment. Once you have the shape that matches the best your eyes and your face, the product you’ll use to fill them in depends on what you need to add to the shape and the density. Mine don’t really behave but at least they are not high maintenance, I don’t even fill them in on a daily basis and if I do, just roughly. If I do a stronger look then I’ll need to balance and frame my eyes a bit better and therefore I will pay a bit more attention to them. 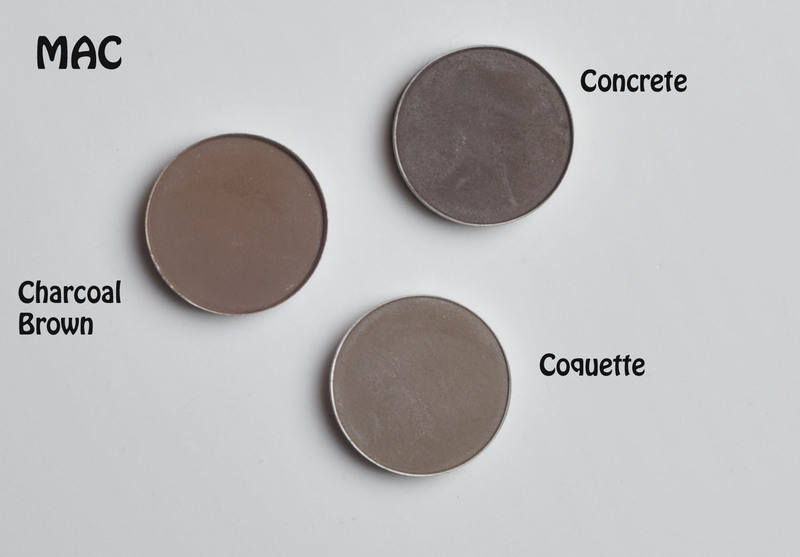 Mac powder eyeshadows (or any other eyeshadow). It can be cheap, fast, nice and easy when you don’t need much precision. The Tom Ford Brow Sculptor, expensive like no other, fast, great when you want a bit more precision and with a great long-lasting result. The Suqqu eyebrow liquid pen, not cheap, not easy to find either, when you want precision and long-lasting results. 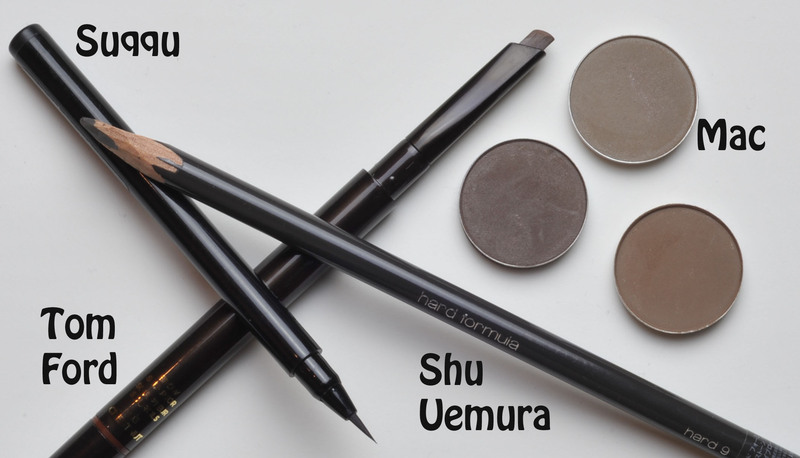 The Shu Uemura Hard Formula eyebrow pencil, not cheap, not easy to find, when you don’t need much precision and when you have some brows ! A long-lasting matte pencil liner (like Mac Duck or any other waterproof pencil) and an eyebrow brush, not that cheap but reasonable, when you want long-lasting results with adjustable precision since it will depend on the brush. A special palette for eyebrows containing powder, wax and tools. Easy but maybe a bit too bulky if you don’t need to use everything. There are so many options. I use the Hakuhodo eyebrow palette just because I have it but any other eyeshadow does the job. My eyebrows are quite full therefore using just some eyeshadow is enough, I prefer to use a light shade otherwise my eyes look threatening and scary and I prefer a much softer look. Once I have applied the powder, if my eyebrows are having a bad day I apply some wax onto a brush and comb. What I like about this option is that it’s fast and easy but unfortunately it doesn’t really last. Swatches are at the bottom of the post. I have the Tom Ford brow sculptor in Chestnut. It’s quite a hard texture, can draw thin-ish lines since it’s flat, it feels like a waxy texture, that’s a pro for me. It doesn’t hurt but you have to put quite a lot of pressure to fill or draw hairs but the result is natural and precise enough for me. It lasts all day long. Here is a short tutorial and if you want to see swatches of all the shades available, there are some nice ones by Karlasugar. Unfortunately when I bought mine my hair was much darker so it was a better match. Today I would need taupe instead. This is how it looks when you remove the caps and you twist it ALL out = there is not a lot of product inside ! You will get at most 2.5cm of product… for 42$ it’s completely crazy ! It’s actually 10x more expensive than the Shu Uemura (and I didn’t even count all the length of the Shu since you need somewhere to grab it, I just counted the length you can actually use). I have tried to take pictures wearing it but that did not work very well I am afraid. You may still be able to see that between the left picture were I am not wearing any brow product and the right picture were I am wearing the Tom Ford there is a little difference and that the pencil works but other than that, since I have quite full brows, you don’t see much difference. The precision you get with this is absolutely amazing, you can draw little hair, thin or slightly wider if you put more pressure (swatches at the bottom of the post), if you want more control you can hold it slightly sideways and instead of applying it with strokes, just briefly press it sideways and you get linear dots. It’s just a matter of preference and dexterity, think of it like a liquid eyeliner with a thin and soft point. 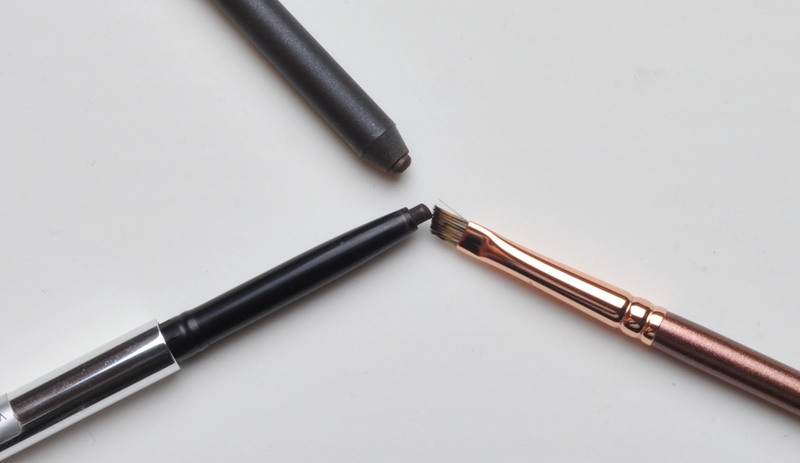 The tip is 8mm long and has some flexibility, it doesn’t hurt at all and you don’t need to put a lot of pressure to get the ink out. I have had it for maybe two years now and it hasn’t dried out. The application will last a very long time, I can even go to the gym and sweat and it will not budge. It costs 20£ on the Selfridges UK website and I could only see one color available : brown. This pencil will only work if you have some eyebrows because it will only interact with the oil on your own eyebrows, if you swatch it on the back of your hand, unless you have hairs there 😛 it won’t swatch. There is a nice review here if you want to know a little bit more about it, it has to be sharpened like a sword and Shu counters will do that for you for free. The result is not very precise, not easy to draw hair by hair but it will look very natural and it’s the one I reach for the most, it lasts all day and doesn’t budge. I don’t know why I bought it in Stone Grey 05 but it looks allright for me. It costs 23$ and you will get 17,5cm of product, which is not bad at all. I have tried to wear it here to show you that it works on the eyebrows but I will definitely need to find a way to take clear pictures in the future ! And by the way, excuse my foundation (or lack of it), I am trying new products since I am at home and apparently the foundation I am wearing really doesn’t do anything for me at all. I have the Hakuhodo Christmas one but it’s Limited Edition, I even prefer the Benefit because it has a wax pan in it, this one is the Brows a-go-go but there are so many other great palettes out there. Using a palette is quick and handy but it can be a bit bulky for travelling. As you see in mine, I have depoted the wax pan and sometimes I take it with me on my trips but then I put it back when I return. When I am travelling I use any powder shadow in combination with this wax or an eyebrow pencil. The wax pan in this palette delivers also some color but then I set it with whatever brown shadow I have, since I always have a neutral crease eyeshadow with me I’ll use that same one. If you don’t have an eyebrow product but you have an eyebrow brush or an angled eyeliner brush, there is another option that I actually like a lot. You take any waterproof or long lasting eye pencil (even if it’s creamy or thick) and instead of applying it straight from the pencil (that would be too thick and fake), you can rub it on the top of the eyebrow brush and then you use the brush to apply it, as long as the pencil is the right color for you and matte the brush application will apply it more precisely and the result is very natural. I also use some lipliners on my eyebrows if they are too brown for my lips and long-lasting, maybe I shouldn’t but I don’t see why, I don’t like to waste so as long as they are matte and the right brown color they will do the trick. Always have cotton buds near you, it’s extremely helpful to remove excess powder if you made a mistake, I couldn’t do without them, also excellent to soften the edges. 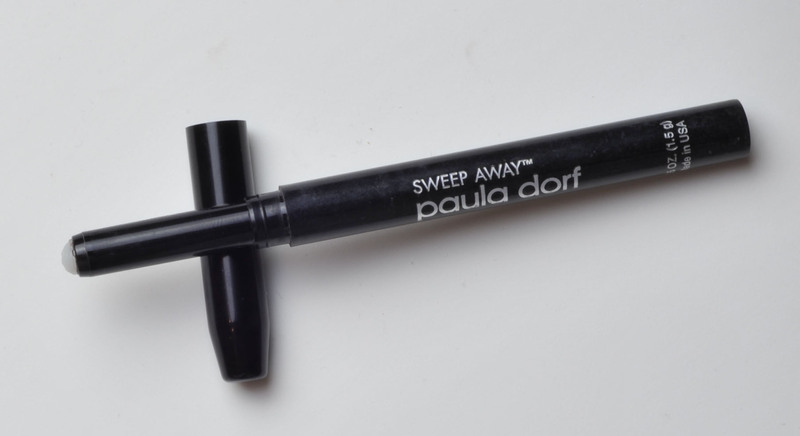 If you are using a more long-lasting product, damp the cotton bud very very lightly with makeup remover, since I have the Paula Dorf sweep away I rub the cotton bud with it, it just helps erasing bigger mistakes although it still requires some work ! If you have oily eyebrows or a heavy moisturizer that hasn’t absorved well, set your eyebrows with powder before you start applying any brow product. Here are some swatches of the products I have mentioned. The first swatch is for the RMK Ingenious waterproof pencil, a bit too dark for me though. When you apply a pencil with a brush, it will sheer it out a lot and make it more wearable. Bottom line : The best option for me is the Shu Uemura pencil, it’s an interesting formula, great lasting power and it’s not that expensive for the amount you get ! 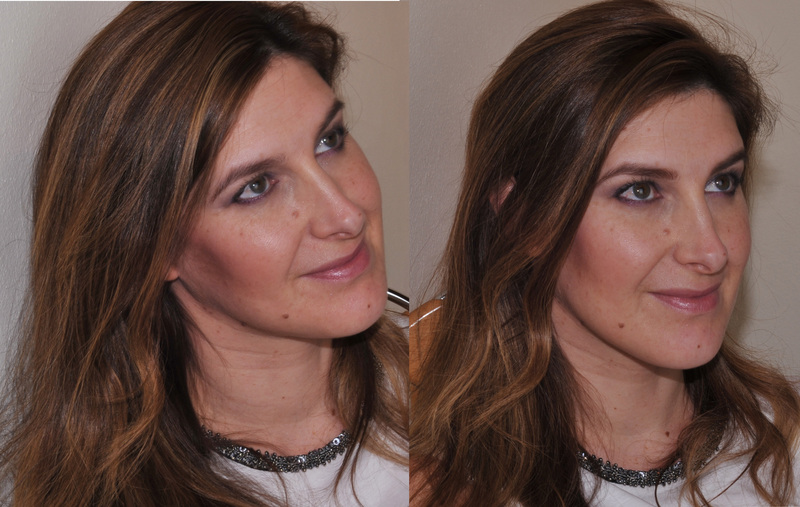 Eyebrows – Focus on Tom Ford, Suqqu, Shu Uemura was last modified: January 19th, 2013 by Sonia G.
Sonia, did you lighten your hair or add highlights? I love it! It’s gorgeous and makes you look softer and younger. I am glad you like it ! thank you !!! I like the Shu Uemura pencil, but I just use an ordinary sharpener to sharpen it – it looks as though you have had it sharpened at the counter? I think the Suqqu pen is overrated. It is certainly waterproof, but I find it hard to use. Also, it’s too ashy for me – I need something with more red in it. 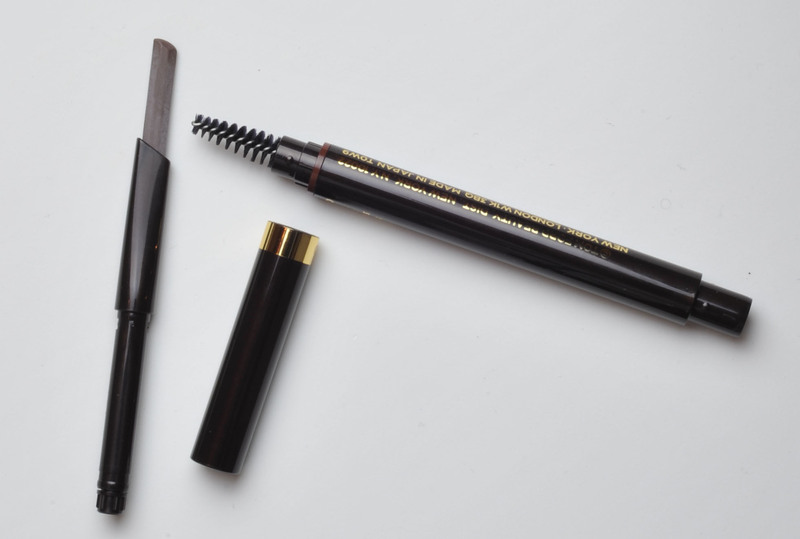 My absolute favourite brow product, which I have been using for years and years is the Laura Mercier brow kit. You get 2 colours to mix. I use the auburn one which is perfect for me – it contains an auburn colour and a more ashy light brown. It also lasts forever. Well Richard (my bf) did it for me 🙂 He doesn’t want me with a cutter in my hands.. it always end bad ! Another reason to visit the LM counter 😛 good to know it lasts !! does it last at the gym ? Actually, I am fanatical about never wearing makeup at the gym – it’s very bad for skin. I often do just my eyes before I train in the morning, as it saves time before work, but never anything else. The only time I ever wear makeup to train is if I’m competing in something, eg a marathon or martial arts competition – and then I use a few key waterproof products, including the Suqqu pen. 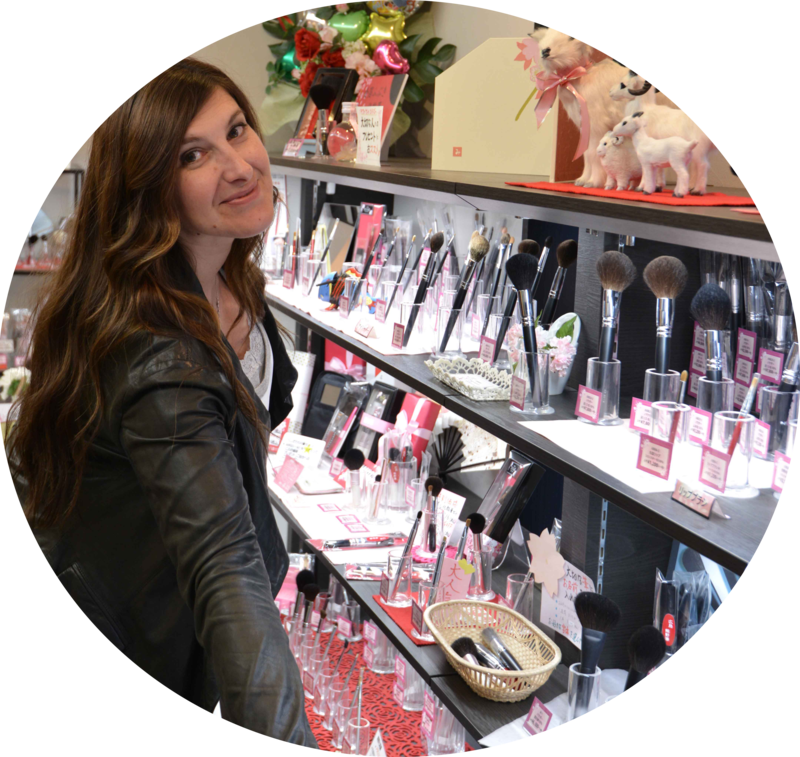 Hi Dena, my favorite brow product also is the Laura Mercier brow kit! About 3 years ago, a LM company rep did my brows with a blonde pencil and soft blonde brow kit…and it worked beautifully although I have black hair. I now usually use a darker brownish or grayish pencil depending on my eye make up but still fill, blend and set with that kit, as old as it is. I’m having trouble breaking away and using my new Hakuhodo and Suqqu kits! I really love the Suqqu pen, too. It does what no other pencil has ever done for me as naturally — simulate tiny hairs to fill in holes (patchy areas) and thicken/extend sparse tails and the inside of the right brow which is a bit short. It’s a remedial product for me — restores my brows to looking more balanced before I start in with other products. People with fuller brows probably will find little use for this expensive pen but for my sparse brows it is a blessing! I think I’m the only one who is disappointed with the Suqqu pen! The waterproof aspect of it is amazing, but I just find it so much work to draw on hairs. I have light auburn hair and very fair eyebrows to begin with, so it’s not as though I should need to do a lot of work on them! I do love LM for core products – I have been using the brow kit, the duo concealer and the tinted moisturiser since 1999!! This is a really great post – thank you so much! I use either Anastasia powder or a waterproof Browlash pen (which is perhaps similar to the Suqqu – hmmm, maybe I should see if anyone has done a comparison!). The powder is quicker to apply, but the pen gives a slightly better result & is a bit longer lasting. I also recently purchased MUFE’s Aqua Brow, which I’m still figuring out how to use – I keep applying too much, though the color is great. I heard very good things about Anastasia pencils, I will give them a try as soon as I can. I imagine the MUFE to be difficult to measure and control and maybe too much waste until you get used to it but it sounds really interesting too, even more since it’s waterproof ! My favourite brow product is the Tom Ford. I have pretty full brows as well so I only need a little every time I do my brows. The best part is that I use the brow spoolie at the end of the pencil to diffuse the pencil and if I’m lazy/rushed for time/want a more natural look, I just run the spoolie through my brows and the product left on the spoolie goes on very nicely. I agree that the Shu Uemura is better value for money, but I just don’t love the seal brown colour on me and their shades tend towards a greyish tinge. So I prefer Tom Ford, mostly for the colour but also TF is a little easier to spread. I also have Chanel’s brow palette and Suqqu’s. I feel that Chanel’s takes a lot of work (it’s waxy and hard to feather out) while Suqqu’s is more powdery so it works fine. Still TF is the quickest to work with. I would love to try Kevyn Aucoin’s brow pencil and Suqqu’s brow pen next because I’ve heard so many good things about them. I’ve only just started doing my brows so there’s so much to explore. Thanks for this great post, Sonia! Such a macho 😉 but a sweet one. I have been lemming the Suqqu palette but I have one of their single powder eyebrow pans (that I got when they were still being sold) and it doesn’t justify me getting more powder shadows, if the palette has a waxy pan that would probably tempt me more. 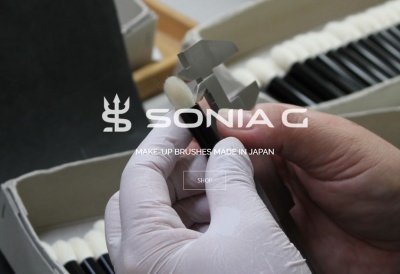 Sonia, If I had half of your brows I’d be a happy person!! The TF works great for me as it’s not too hard & lasts all day. 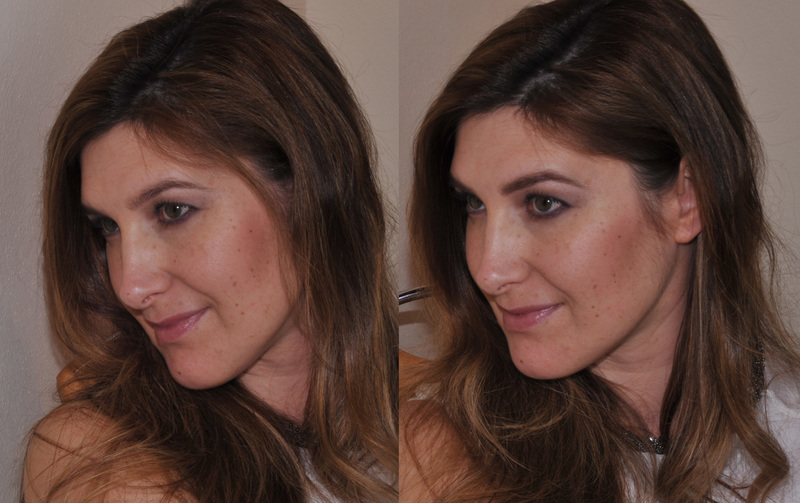 The Kevyn Aucoin precision brow pencil & the Dior Brow Styler are softer than the TF and can draw much finer lines. They also both have good lasting power. Thank you for your feedback ! very much appreciated ! Really?? Your face doesn’t look like it needs any electro hair removal yet? On another note…..did you see Wayne’s latest vid on his ‘lip products’ ?? And how about that storage?? Soooo organised! I like these drawers! I think he misses out on something here…. I don’t see any Armani Rouge or Lancome in Love 😛 but if it’s not to use on himself, it’s not that important, he knows how to create the best lips whatever the lipstick anyway ! He needs to be organized like that otherwise he would not be able to find what he wants ! I think everyone who watched the vid & saw Wanyne’s Rae Morris drawer felt their jaw drop & their eyes open wider in sheer awe & amazement 😀 !! Oh, yes I love the wall unit 🙂 Pleeeeeenty of space for brushes in there!!! Thank you for the great post Sonia!!! I too am a big fan of the Suqqu pencil, but it took many many tries and buys to get to the right color for me, as only the Brown (which has hints of red) and the Seal Brown/Grey are available in the US through the Shu website. While I could get away with any of the US Shu available colors, none of them is perfect. So I also tried the TF, which I agree is very nice and super easy to use. I have it in the Taupe, and really like the shape of it. But it’s almost too much for me, and it takes an effort on my part to make sure I don’t over apply. 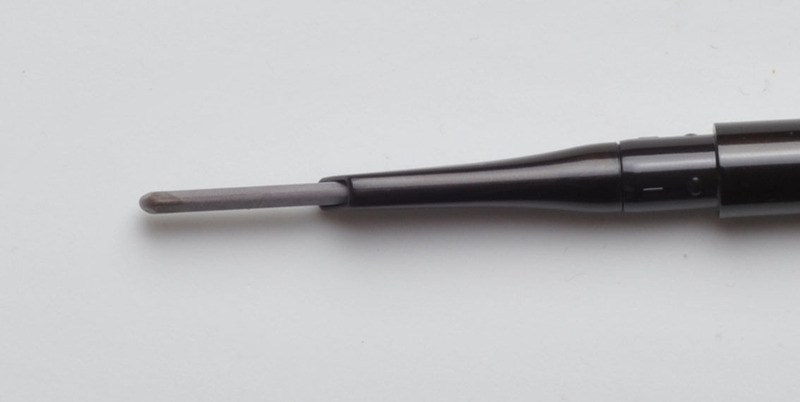 So I went back to the Shu, which for me is just the perfect foolproof tool to fill my brows where needed. Great post! By the way, your hair is so beautiful it was hard to focus on brows. I have bought Tom Ford pencil in Chestnut and it seemed too light for me. My coloring is very similar to yours, but I think my skin is lighter and less warm. I ordered Tom Ford Espresso pencil but have not used it yet. I have been using Chanel brow pencil for more than 10 years. I do like it and always get compliments on my brows but I’m always open to trying something new. I might have to try Suqqu but it might be lighter than I want. Like you, I have a selection of eyebrow supplies. I use the cle de peau eyebrow pencil along with MAC’s. I’m extremely interested in Tom Ford’s though, but the colors are a bit too brown. I guess Shu’s is next on my list. I have Kevyn Aucoin precision brow pencil and use brush from it with any product(I was blond when bought it and looking for lighter color at this range,but it too redish.My mistake,more darker version looks better and more natural at the store).over any pencil i layer clear brow gel to fix.or use a clear brow gel and then fill in only in the gaps with precision brush and powder (like suqqu or anything) in shade exactly like my brows,this i do for lazy days just to help not to look me woushed out. in the cutest tea thing ever !! I never know this before, such a clever gadget and so cute!!! It is in the usual Hakuhodo collection with a black handle. Yes thank you Jeanette !